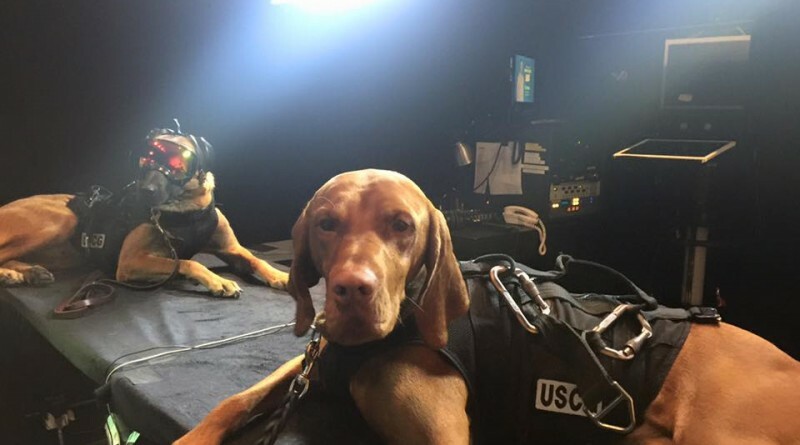 The U.S Coast Guard Maritime Safety and Security Team have released an amazing video of dogs Ricky and Evy in helicopter rescue training. The brave pooches wear safety glasses and ear wear to keep them safe from rotor wash, sea spray, debris and engine noise. Ricky a Belgian malinois, filmed being lowered down from the helicopter, has been training monthly with the San Fransisco team. The canine coasties are serving as explosive detection dogs and have been with the coastguard since 2008. For their own safety, they have to wear a protective eye wear and ear wear to protect them from rotor wash, sea spray, foreign debris and engine noise. 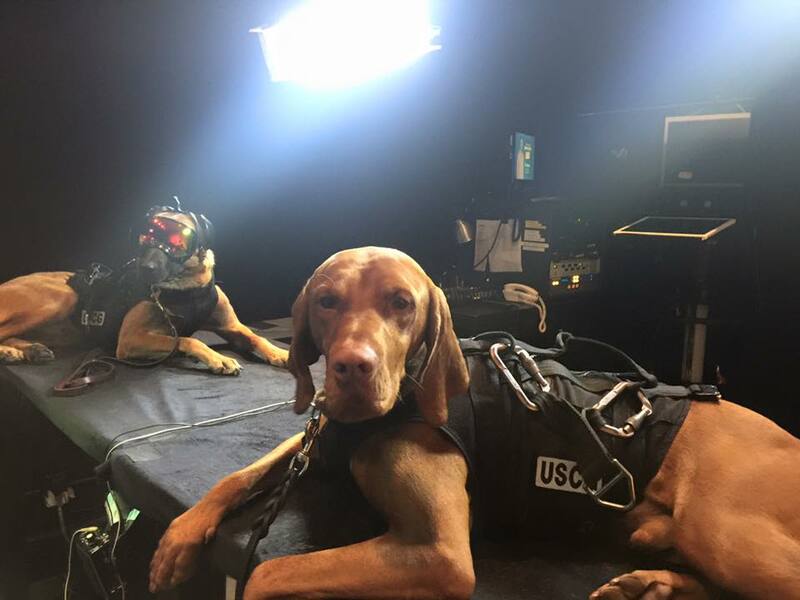 You can find out more about the U.S Coast Guard Maritime Safety and Security Team dogs on their Facebook https://www.facebook.com/MSSTSF91105/?fref=ts and also see a lot of pictures of brave canines in action.